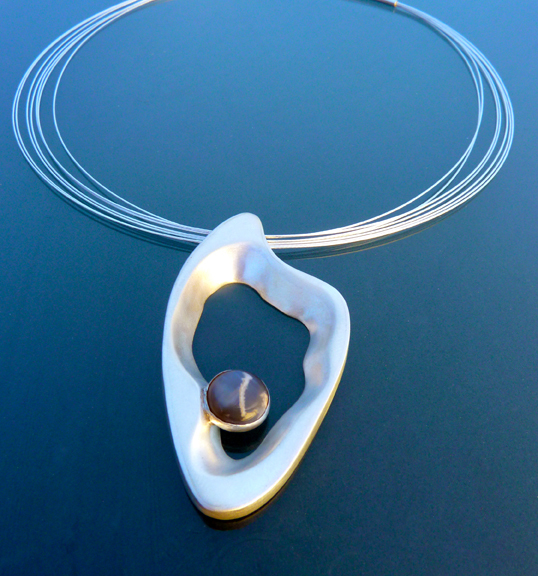 Sterling and Fine Silver with Moonstone make up this hollow form piece. Very fluid.The brushed silver catches the light so that it almost glows. Moons are known to affect the tide, and the moonstone adds to the watery feel of this piece.